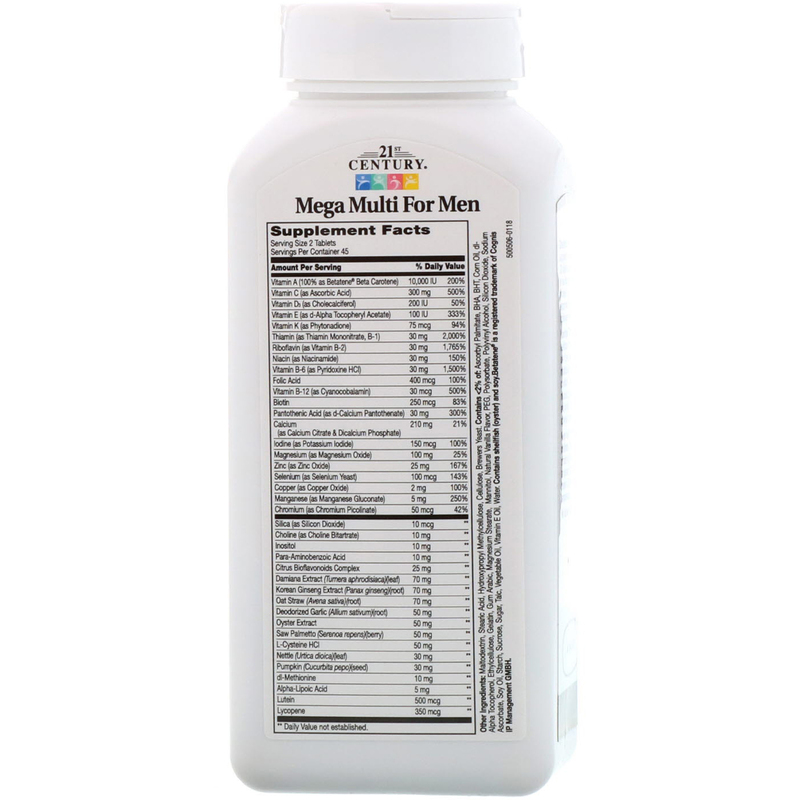 Mega Multi for Men includes a full spectrum of antioxidants, vitamins and minerals that support men's health. 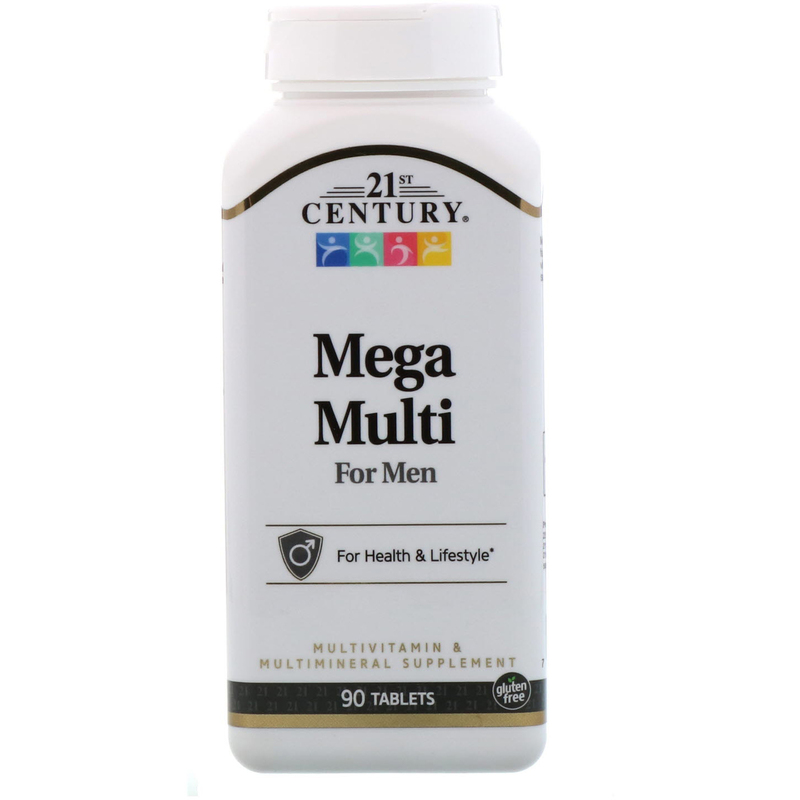 As a dietary supplement, adults take two (2) tablets daily with any meal or as directed by a healthcare provider. Do not exceed recommended dosage. Individual results may vary. Maltodextrin, stearic acid, hydroxypropyl methylcellulose, cellulose, brewers yeast. Contains <2% of: Ascorbyl palmitate, bha, bht, corn oil, dl-alpha tocopherol, ethylcellulose, gelatin, gum arabic, magnesium stearate mannitol, natural vanilla flavor, peg, polysorbate, polyvinyl alcohol, silicon dioxide, sodium ascorbate, soy oil, starch, sucrose, talc, vegetable oil, vitamin E oil, water. Contains shellfish (oyster) and soy.